Lets spread the word together! 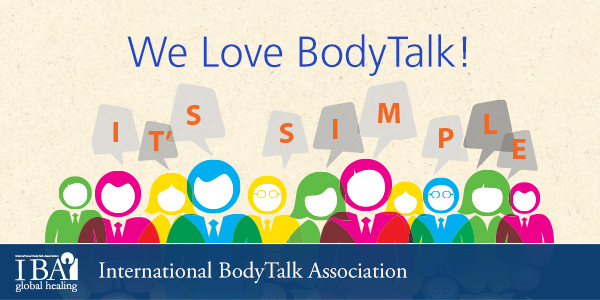 Introducing BodyTalk to your local community. Printed from http://www.bodytalksystem.com//learn/news/article.cfm?id=867 on Apr 22, 2019. Thank you to everyone who submitted material for our first call out, you will soon see the finished product. By now you would all have heard about some of the projects the IBA have planned for 2014. One of the first we are rolling out is the creation of digital promotions and information/education guides to be available for you all to share and use within your community. As all of you are 'the man on the ground', in order for this to become reality, we need your input. We are calling out for testimonials, articles, case studies, tips and tricks etc on certain topics. By combining all your submissions we will create digital promotions for you to use within your business and community/ies. BodyTalk is being taught and practiced in over 50 countries globally. Together we can collaborate to create some great marketing, educational and conversational documents to help spread the word about how BodyTalk can help people around the world.